Finding the reason behind the pain that you feel is the best method for a dentist to determine how to treat your condition. Though many patients assume that all type of TMJ treatment are the same, treatments vary significantly from patient to patient. There are a wide variety of TMJ disorders and frequently there are multiple factors to account for. Your TMJ problem may be as individual as you are. The discomfort that you feel typically relates to the way your condition affects your body. With TMJ, a patient’s nerves, muscles, ligaments and tendons all function in less than ideal ways that causes the patient to feel uncomfortable or in pain. Your dentist will work with you to determine which combination of remedies and treatments will bring you the most relief. 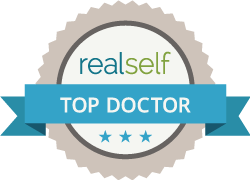 Dr Shapira is your partner in finding your path to the life you deserve. When Dr Shapira determines your diagnosis of TMJ or associated disorders, he will describe the three different phases of treatment. The first phase is the most important phase which is to restore your quality of life as quickly as possible. It involves non-invasive procedures that do not require surgery. Those treatments can include orthotics, physical therapy and other non surgical TMJ treatment options as well as minimally invasive procedures such as trigger point injections, prolotherapy or SPG (spenopalatine ganglion ) blocks. Orthotics may include a diagnostic physiologic orthotic, nocturnal bite splints, pivotal appliances for TMJ locking or other modalities such as an Aqualizer that uses a basic law of physics to equalize pressure on both joints and relax the musculature. The second phase is long -term management after pain relief is accomplished. It is all about maintaining comfort for life. This phase of TMJ treatment is all about restoring your quality of life. Dr Shapira will dissect your problems to answer each of the problems that make up your specific issues. The mainstay of Physiologic Dentistry is a diagnostic orthotic, a device that lets you experience the life improving results before committing to extensive treatment. Patients are told to expect 50-80% improvement within just 2-3 visits. There is no “ultimate cure” for TMJ but many patients experience almost miraculous cures while other patients have a longer road to reach their goals. The use of behavior modification, which teaches you how to do simple daily activities without causing additional pain or discomfort is often needed initially but are goal is a complete return to normal function. Dr Shapira will make you his partner as the guardian of your health and welfare putting you in charge of your future health! Simple TMJ jaw exercises can provide relief for some patients but others require guided treatment to relieve the pressure on your nerves can lead to increased pain. Just strengthening the muscles in your jaw is not a promise of success. The creation of an environment where healing occurs is actually the most important aspect of treatment. We use our jaws twenty-four hours a day for breathing, eating, talking, kissing and to maintain proper postural health. Dr Shapira builds that healthy bite into your diagnostic orthotic. Phase two is embarked on when you are feeling good and your body has had a chance to heal. There is no “Cure” for TMJ because you have changed due to your months or years of pain. A cure would entail a do over on the part of your life lost to pain. I want you to have the best life possible moving forward where TMJ and MPD do not adversely affect your life. Many patients feel as if they are “Cured” but they are not the same as if they never had a problem to begin with. This phase of TMJ treatment includes the use of occlusal equilibration or coronoplasty for some patients. This is minute adjustments to the bite to make it function better. 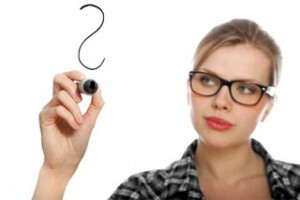 Other patients may require orthodontics or reconstruction to achieve long term stability. Dental implants can be used to replace missing teeth when necessary. Phase two can utilize cast onlay orthotics, partials or dentures. Bruxism which occurs when you grind your teeth at night may require treatment with a night appliance to protect the muscles, joints, teeth as well as the restorations. The use of other orthodontics can reduce your discomfort and give you a healthier bite. This can be through standard orthodontic procedures. 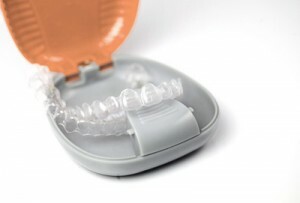 The DNA Appliance is an exciting and more comfortable alternative to braces that is worn during sleep and a few additional hours a day. It allows us to grow your jaws to a more ideal size and shape while permanently correcting your bite. Crowns, also known as caps, let the dentist repair damaged teeth and reduce the gaps between teeth, while braces are a good option for those with healthy teeth who still suffer some pain. 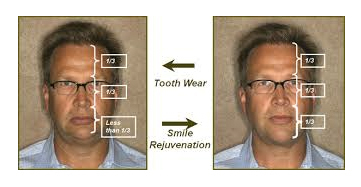 A full mouth restoration can restore your entire mouth in just a few visits and is an exceptional treatment for many cases. Due to the cost many patients feel they cannot afford this treatment but financing can make it available in affordable monthly payments. The majority of patients never need this phase. The goal of phase 1 and 2 treatment is to avoid temporomandibular joint surgery whenever possible. Orthognathic surgery is also a phase 3 treatment that can create an ideal situation but carries significant risk. The DNA appliance can comfortably create orthopedic growth without surgical intervention in may patients. This phase of TMJ treatment is the most invasive option and typically requires some form of surgery. If the dentist can determine the root cause of your pain, the doctor can do microscopic TMJ surgery, which lets the dentist carefully repair a damaged joint or nerve from an incision made in an out of the way spot. If you suffer from lock jaw, which is one of the more common symptoms of the condition, your dentist may recommend arthrocentesis. With this procedure, the doctor places needles inside the affected joint and pushes a saline solution through the needles. The liquid slowly works its way through the jaw and loosens the joint and surrounding cartilage. Other forms of surgical intervention can give you some pain relief. A TMJ orthotic is almost alway the starting point for therapy. Surgery is rarely the first option but in the case of severe degenerative changes it must sometimes be considered. TemporalMandibular Joint surgery should always be approached cautiously. Almost all patients can be managed without surgery. 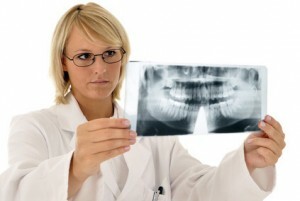 The longer that you live with your condition, the more work you need to do towards repairing your mouth and jaw. While surgery is one option, it’s often the last resort. Remember Quality of life is your most important outcome. Your dentist will suggest that you use jaw strengthening exercises, bite plates and other remedies before recommending jaw surgery, braces, tooth grinding or crowns. To learn more about TMJ and the best treatments for the condition, download a copy of my e-book today.